This week’s post on Bedford Bits describes the work I have begun on revising my course documents to make them more visual. The ultimate goal is to make them more engaging and more useful to students. 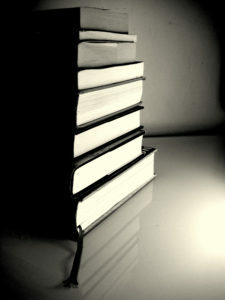 I started with the required resources, which has been nothing but a glorified book list for as long as I can remember. My revised version still lists books, but I have tried to add some negative space and color to make it easier to read and a bit more friendly. Read the full details in the blog post on the Macmillan Community site. In honor of Memorial Day, I wanted to point back to an entry I wrote last October on writing about photos. The image I used to illustrate it was the one that came to mind when I thought about Memorial Day this year. Andrea Lunsford describes how she designs a course syllabus as blueprint for action, and a guide from the first meeting through the last class in Tips for New Teachers #4 – Building a Syllabus. Doug Downs describes how a writing-about-writing course helps nontraditional and returning students by its focus on enabled writers in As If We Took Them Seriously. Nedra Reynolds describes her summer plans to teach a travel writing class online in Armchair Teaching? A Trip into the Online Environment. Can students connect the work they’re doing in the classroom to the work they will come to do in their disciplines and majors? Barclay Barrios shares an assignment that helps ensure they do in Thinking about Research in the Disciplines. What’s your take on the death of blogging? Traci Gardner argues that we need to rethink the question in Technology, Genre, and the Alleged Death of Blogging. Now that classes are over, Susan Naomi Bernstein talks about The Three Rs of Summer: Reading, Reflection, and Renewal. Interested in having students Tweet? Try 5 Unique Uses of Twitter in the Classroom from US News & World Report. When’s the best time to read teaching evaluations? ProfHacker explores the options. Looking for a visual rhetoric project? Visit the National Writing Project’s Digital Is… for Danielle Nicole DeVoss’s When Images “Lie”: Critical Visual Literacy. Sign up for our Ink’d In newsletter and request free professional resources today. Have great assignments or student essays to share? Jay Dolmage is Looking for Essays and Assignments and paying up to $100 for works chosen for publication. Let us know what you want to know about teaching writing or about using digital tools in the composition classroom by leaving a comment. Your response will help shape upcoming posts. Its politically correct to be disappointed with BP and their little oil well problem in the Gulf. But how can I be angry when they provide me with such wonderful gifts? First, BP America digitally enhanced some of their oil spill clean-up photos. The images are great for pointing out the sloppiness of the Photoshop work and, more importantly, discussing the ethical issues related to tampering with the images. Be sure to look at the face-saving explanation BP has posted with the BP Altered Images Flickr set. Any class exploring visual rhetoric should spend time with these photos. So a big thank you to BP for classroom material. But thats not all. Next, the folks over at Wired took the faked BP images and challenged readers to create their own digitally altered photos. The results are marvelous. Everything from Godzilla to Rick Astley is out there in the Gulf causing mayhem. 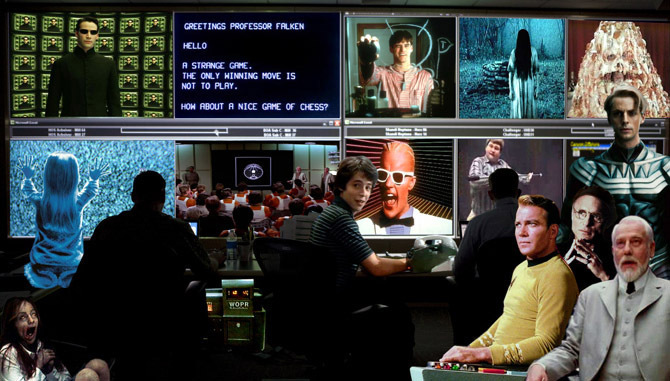 How could you NOT like an image that includes Max Headroom, War Games, Star Trek, Poltergeist, and The Matrix? As part of a visual rhetoric lesson plan, the Wired challenge images open up the topic of satire and parody. Students can discuss how the different images critique the way BP has handled the oil spill—both in its actual clean-up and in the images they have shared with the public. So politically correct or not, Im a little thankful to BP America for providing me with the materials for a timely lesson on an important topic. Talking about Swine Flu at your school? The news stories and public documents give us current texts we can dissect for use of persuasive techniques and visual rhetoric. Combined with similar materials from the Spanish Flu outbreak of 1918, current documents can give students the chance to consider how rhetorical techniques are adapted to fit the times. You can find links to texts on the flu and related classroom assignments in my Bedford Bits Post.